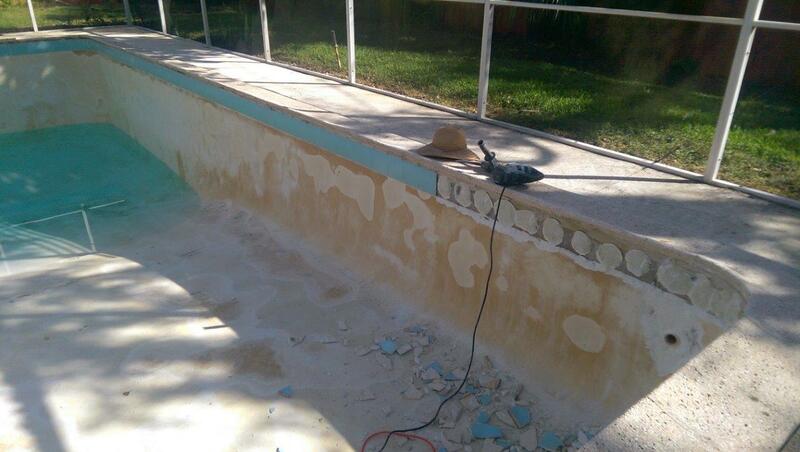 Remodeling - White Sands Pool Plastering Inc. 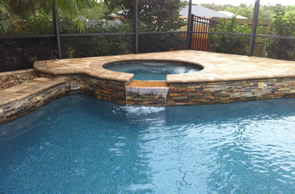 When deciding to remodel your pool, making the best choice for what you envision starts with our sales representatives. 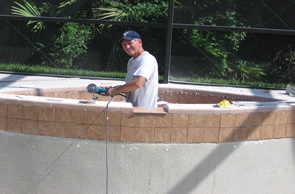 After contacting the office, we relay your information to our sales representatives who will call you and make an appointment to come give you a free estimate. Once the sales representatives help you make a choice you are happy with, our office will call to coordinate the work start date with you. 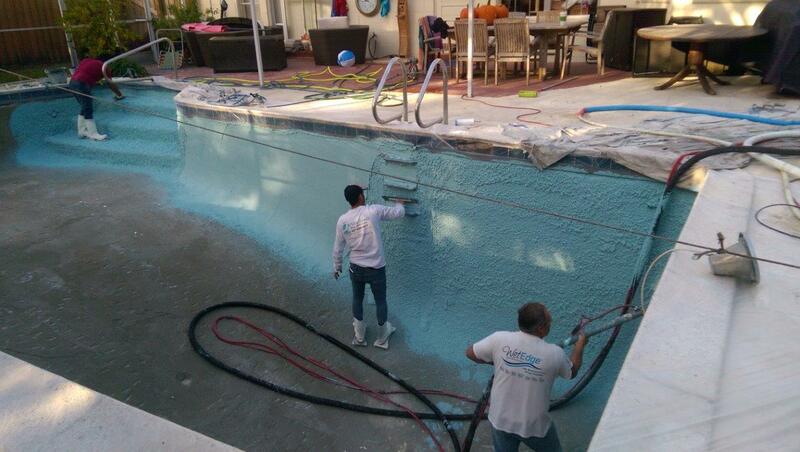 Read below to get an idea of what happens when we start the renovation of your pool! 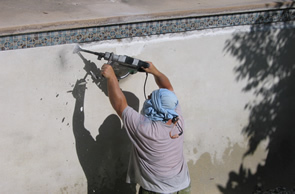 Here is an overview of the pool refinishing process from start to finish. 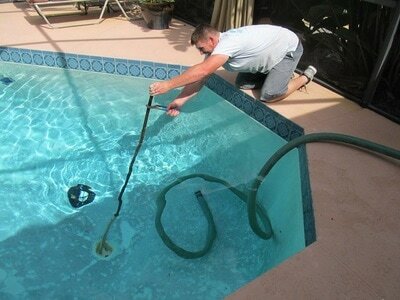 Step 1 - Drain the swimming pool. 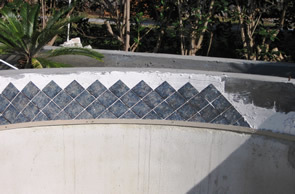 Step 2 - Prep work begins by removing the tile or undercutting waterline tile, clean tile, chip out old plaster and hollow spots. 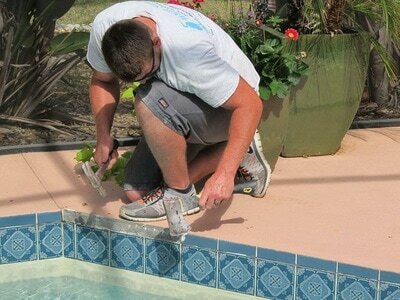 Step 5 - Apply new pebble or quartz finish. 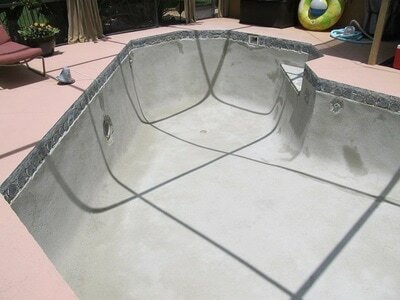 ​Step 6 - Acid wash the new finish. 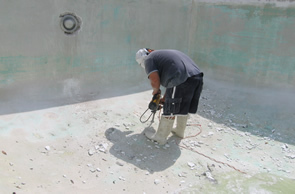 On Quartz finished pools, the pool is acid washed by the plaster crew and filled the same day of application. 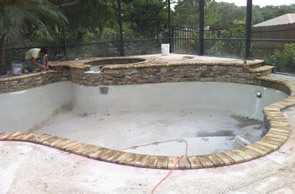 For Pebble finished pools, the pool will sit 1-2 days after the finish is applied before our acid wash crew comes to acid wash the pool and starts to fill the pool with water. 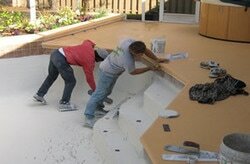 The "slurry box" will also be removed at this time. 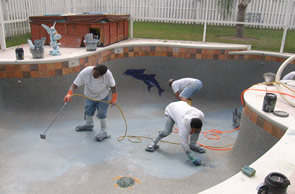 ​Step 7 - Upon completion of your pool filling with water, a service tech will come out and do a quick walk thru, add the start-up chemicals, go over pool care and collect final payment. 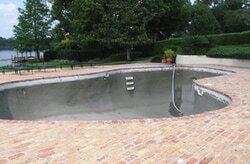 Step 8 - Enjoy your new pool!